Birch trees, along with maple trees, are known to leach or bleed a lot of sap, which is one reason these trees are harvested for their sap. Sap is leached when the tree is cut into, either with a drill for harvesting or from pruning. Fortunately, even if your birch tree seems to be leaching too much sap to be healthy, it is perfectly safe for the tree and it will not be harmed. However, there are a few things you can do to help stop a birch tree from leaching very much of sap in the first place. Prune birch trees in midsummer to early fall when the leaves are fully grown and green. Little sap will leach during this time, if any. 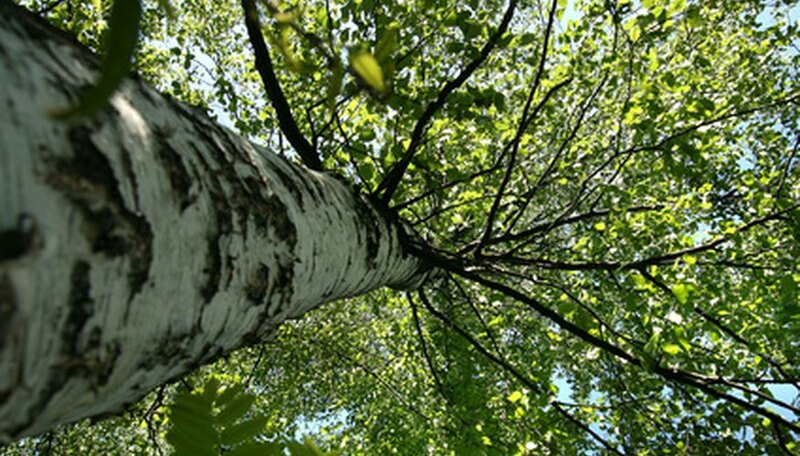 From late winter to early spring, expect a birch tree to leach a lot of sap. Cut branches when you do prune with sharp, clean lopping shears or saw. Prune just above the branch collar, the swollen area from where the branch grew. Also, limit your pruning to only when necessary, such as to remove broken or diseased branches. Allow the sap to flow and wait for it to stop naturally. If your birch tree is leaching sap, it will not harm it. Do not attempt to seal the wound with a pruning seal or pruning tar. According to North Dakota State University, they do not work.